Dark Master, Trooper and Wookie visiting Good Day. 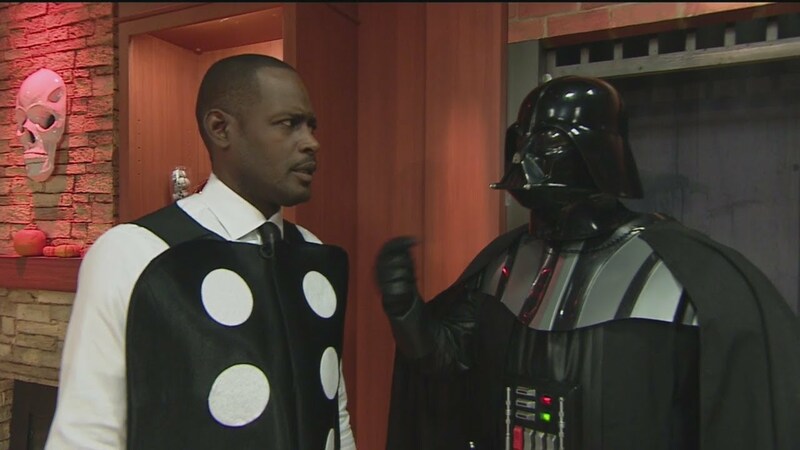 The Dark Side invades Good Day Sacramento. 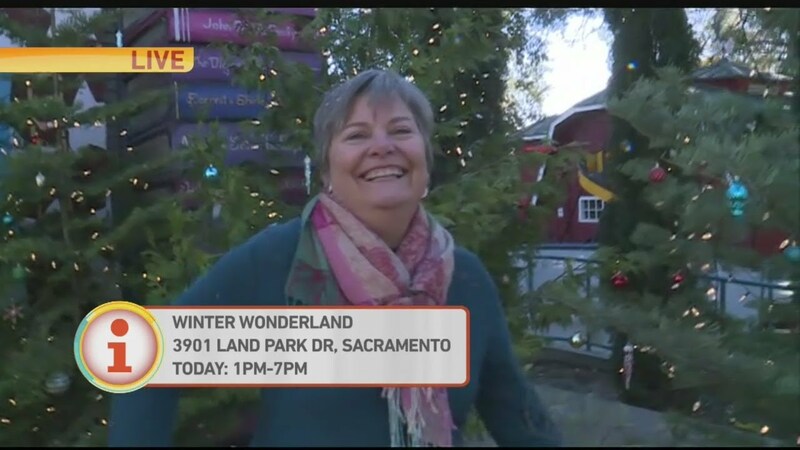 Making it Snow for our 3rd year at Fairytale's Winter Wonderland Event! 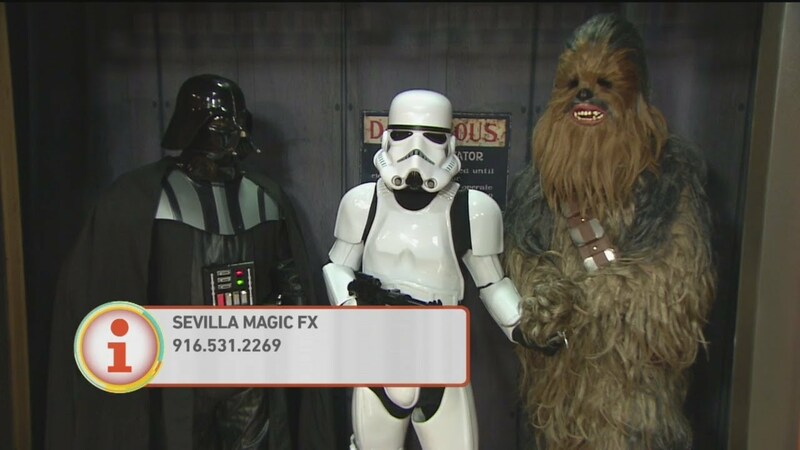 Sevilla Magic FX is your premier source for Character Entertainment; Superheroes, Sci Fi/Fantasy, Fairytale Princesses, Mascots, Magic and more! We bring quality, friendly, safe and affordable entertainers to you! 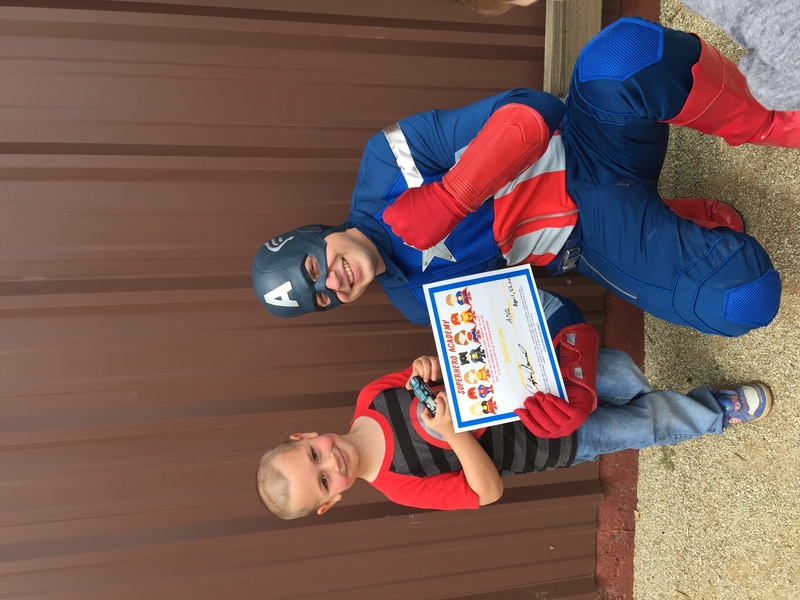 Our character performers are all professional entertainers; and entertaining children is our specialty!!! We offer the best in character parties, princess parties, magic shows, theatrical illusion design, face painting, evaporative snowfalls and more! Our costumes are theme-park quality and our performers are first rate! We don't just create magic, we create memories! Julio had a tough audience of tired teachers-and still he managed to evoke laughter and bring joy to our hearts. 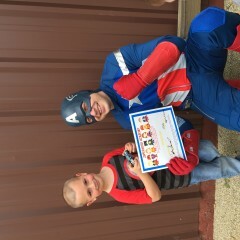 My sons fourth birthday was a hit ! 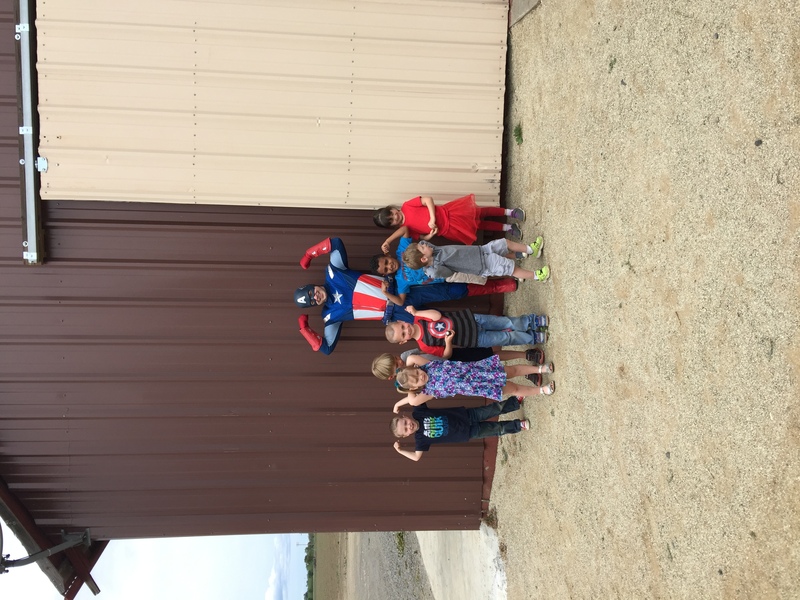 The perfect super hero party! 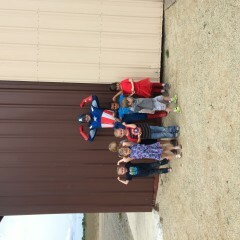 Mr. C. America was awesome! He handled the kids great and sat and ate cake with the kiddos! Thank you! Your feedback means a lot. We had tons of fun! We loved every minute of Elsa, she interacted so well with the kids. Her singing was simply amazing. The snow and face painting was so much fun for the kids. My daughter is still singing Let it go days later. Thank you again. Just wanted to give a shout out to SMFX. We hired them for my daughter's 2nd birthday party and they did an amazing job. Very professional and Elsa has an amazing voice. Would definitely use them again for future parties. Insurance: $2,000,000 - Certificate of insurance available upon request. Princess & Superhero, Sci Fi Characters for parties and special events! Sevilla Magic FX is your premier source for the best custom-themed events and special effects service in the Northern California area. We bring quality, family friendly, safe and affordable entertainers to you! We offer a variety of professionally trained performers who bring beloved storybook and classic characters to life and right before your very eyes! Contact us to learn more about what we offer and how we can bring the magic to you! When booking, all deposits are non-refundable. This secures us from losing business to other potential customers. If you decide to cancel a booked event, your deposit will be credited to your next future booking with us. If our entertainer falls gravely ill, we will do everything in our power to get you a replacement. If cannot, then only in this case shall we refund your deposit. Sevilla Magic FX was formed with lots of experience and a passion for entertaining. 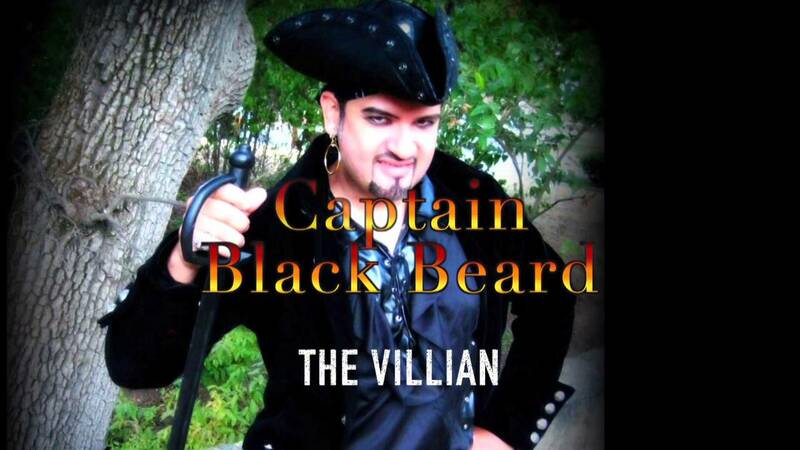 I have been performing and creating illusions for 20 years and wanted to fashion a family friendly entertainment company that encompassed a wide range of performing acts and special effects. And from that, Sevilla Magic FX was born in 2014. We work hard to deliver top notch children's entertainment and special effects of the highest quality, and outstanding customer service. Our goal is to capture every child's imagination and to create memories that will leave a lasting impression on your and your child. From a simple chair to full-blown stage and lighting, there are certain configurations and needs that many performers and service providers require in order to provide the best possible experience at your event. Get a free quote request from SMFX.